This article endeavor to discuss the fundamental question whether the ‘The Manipur Protection from Mob Violence Act, 2018’,(Hereinafter ‘Act’)is model for the effective legal tool against the increasing mob violence in India. On June 18, 2018, Mohammed Qasim (45) was beaten to death by the cow vigilant mob on the rumors and allegation of cow smuggling. The video surfed in the internet claiming and hailing punishment for the cow slaughter engaged by the victim. Subsequently, the picture of the victim was being dragged by the group of people in the presence of Uttar Pradesh Police, which has gone viral and exposed a larger question of State complicity and police incapability to protect the individuals from mob lynching. The mob lynching is slowly becoming a contesting topic among the political establishments on how to stop and prevent the mob lynching in India. The closer analysis of the increasing systematic and organized pattern of mob lynching clearly implicates that the mob lynching is driven by the religious animosity against the Muslims on the pretext of protecting the cow. India Spend database records that 86 incidents related to the cow mob violence occurred since 2012 and the Muslim individuals records highest in the victims of Mob lynching accounting of 64 percent, followed by 11 percent of Dalit victims. Further as many as 97 percent of these attacks were reported after the Narendra Modi’s government came into the power. The instances of Junaid Killing, Akhlaq Killing, Pehlu Khan and many more are examples of widespread culture of mob lynching targeted against the Muslims and Dalit with absolute impunity. 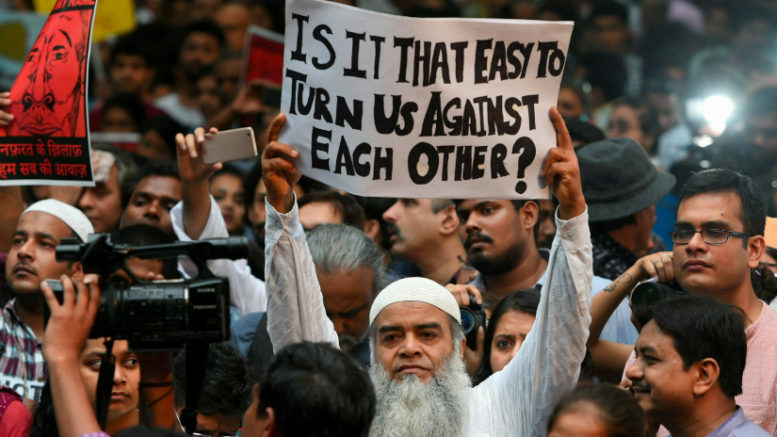 The sharp increasing mob lynching against Muslims, Dalit is strikingly similar to the mob lynching perpetrated against African Americans and Mexian Origins by the Southern White mobs in U.S.A. However, the only difference is that there State legislation had concluded lynching as separate form of crime, but in India, we still debate whether the State needs to enact or promulgate a separate criminal legislation with the purpose to address the root causes of mob violence and whether there exist any legal methods to prevent and punish the perpetrators of large-scale systematic mob lynching. However, Manipur State stood an exception to the general rule of delaying and denying the need to curb the mob lynching. The Manipur Assembly unanimously passed the ‘The Manipur Protection from Mob Violence Act, 2018’ on 21st December, 2018 (Friday) in the wake of rising incidents of mob lynching in the State. This article endeavor to discuss the fundamental question whether the ‘The Manipur Protection from Mob Violence Act, 2018’,(Hereinafter ‘Act’)is model for the effective legal tool against the increasing mob violence in India. In the Part I, the author shall discuss about the legislation against mob lynching is furtherance of constitutional obligation of the State to prevent the non-state actors from violating the Right to Life enshrined in the Article 21 of the Constitution. Further, the author will also discuss about the need of separate criminal legislation for mob lynching in spite of Indian Penal Code, 1860. In the Part II, the author endeavor to critically analyze and scrutinize whether the substantive provision of the act is sufficient to prevent and punish the crime of mob lynching, including the primary drawbacks or criticism of the act. The Central Government & State Governments has the constitutional duty to ensure that no individual or group take law into their hands, adjudicate the criminal conduct and impart punishment against any person. A person’s right to life is inviolable, thus the obligation to protect the life and liberty from mob violence lies at the heart of constitutional pact between the people and the State. The Lockean philosophy of social contract theory has also premised upon the basic fact that the individuals has bestowed or provided consent to be governed on the ground that the State shall provide protection of life, liberty, dignity, safety and security and minimal restriction of their rights and freedom. Thus, there is sacrosanct constitutional mandate to protect the life of the individual from the non-state actors. This perspective was affirmed in the Tehseen S.Poonawalla v. Union of India, where the Supreme Court categorically asserted that “Lynching is an affront to the rule of law and to the exalted values of the constitution itself which cannot be allowed to become the order of the day”. The apex court unambiguously stated that the State have the paramount duty to protect the life and liberty and thereby sustain the higher values of the constitutional order by taking various legislative and administrative measure to address the root problems of mob lynching. Furthermore, the Supreme Court gave a series of guidelines broadly addressing the preventive, remedial and punitive measures to suppress and stop the mob lynching in India. As a result, the Manipur is the first State in India to pass legislation on criminalizing the mob lynching and enacted substantive provision to deal with preventing and remedial measure against the mob lynching. Prior to discussing the key features of ‘The Manipur Protection from Mob Violence Act, 2018’, it is extremely important to settle the fundamental question of ‘why do we need a separate criminal legislation for mob lynching, when there exist criminal punishment for ‘Murder (S.302) & Act done by several persons in furtherance of common intention (S.34)’ in the Indian Penal Code (1860). The need for separate criminal legislation for mob lynching arises from the fact that the normal criminal provisions are inadequate and incapable to curb the mob lynching in India. Firstly, The mob lynching in the form ‘cow vigilantism’ ‘suspicion of child smuggler’ ‘suspicion of cow smuggler’ are specifically created from widespread misinformation or fake news, instilling a fear among the general public against the ‘other’. There is requirement of separate framework and police administrative machinery to ascribe to preventive measures of mob lynching. Secondly, the police machinery is often complicit in the crime of mob lynching. In many cases, the police refused to take prompt measure to prevent the mob lynching in spite of information about the possibility of mob lynching. For instance, the police complicity in the Hapur Lynching and Junaid killing is very well documented. Moreover, the police constantly refuse to file FIR, or conduct prompt, effective and complete investigation into the complaints of mob lynching. Thirdly, the families of the victims of the mob lynching mostly belongs to poor background, they are unable to procure or adopt a long term legal litigation strategy against the perpetrators to secure justice and largely they are pushed into more desperate financial situations for seeking remedial measures against perpetrators for committing mob lynching. Therefore, there is an obligation on the State to enact a new legislative and administrative measure to combat the mob violence. The definition of lynching & victim is the phenomenal aspect of “The Manipur Protection from Mob Violence Act, 2018. The definition of the lynching is inclusive and broad to include hate based mob lynching against Muslims, Dalits, women, or against the person suspected of commission of cognizable crime irrespective of fact whether the acts of violence was spontaneous or planned. The definition of lynching also specifically mentioned ground on ‘dietary practices’, which is explicitly included for the purpose to address the mob lynching on the suspicious of ‘possession or consumption of beef. More importantly, the inclusion of ‘sexual orientation’ ground has to be considered as one of the progressive steps to protect the sexual minorities from the acts of mob violence, especially in the context growing homophobic related violence against the LGBTQ community. Therefore, the adoption of wide and expansive definition of lynching can be considered as one of the remarkable feature in the development of legislative measures to prevent mob lynching. Another foremost pillar of the “The Manipur Protection from Mob Violence Act, 2018” is the specific legislative mandate to prevent the mob lynching in Manipur. The act has incorporated distinct police administrative machinery through the appointment of ‘nodal officers’ and had entrusted them, with the statutory duties to collect intelligence activities and identify the existence of vigilantism or mob violence in order to prevent the mob lynching in Manipur. Furthermore, the police officers are also embodied with the statutory duties to take all reasonable measures to prevent the occurrence of mob lynching, including the incitement of act of violence through fake news or misinformation. The assignment of explicit statutory duties would undoubtedly have positive impact in building prudent and prompt action from the police to prevent the large-scale mob lynching. The legal immunity to the police officers has been legitimized and sanctioned in the criminal administration and jurisprudence of India, There is very few notable exceptions only exist against de-jure impunity enjoyed by the police officer for their breach of legal duties. The Manipur Protection from Mob Violence Act, 2018 has created a separate criminal offence for ‘dereliction of duty of police officer’ and the minimum punishment is provided for one year and extends to three year. This provision strikes in the heart and root causes of the increasing mob lynching. The perpetrators of hate-filled organized forms of cow-vigilantism mob lynching, which has enjoyed absolute de-facto impunity through active and passive support from the police administration. In many cases, the mob lynching could have avoided, if police had taken prompt and reasonable measure to prevent the mob lynching. 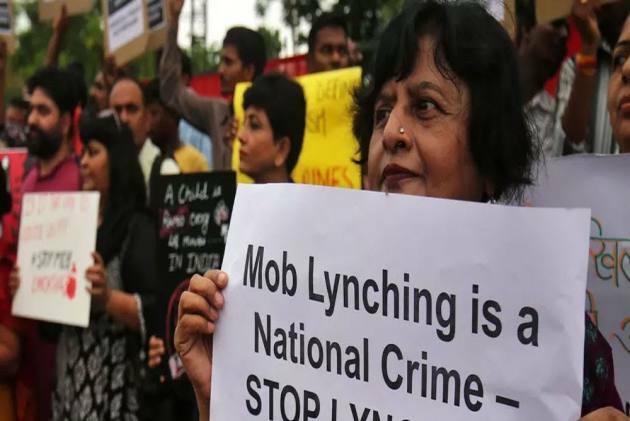 The failure to prevent and protect the victims of mob lynching has been central and underlying aspect of mob lynching, which has been substantially addressed and found solution to prevent the continuing nature of mob lynching. The Manipur Protection from Mob Violence Act, 2018, criminalizes the acts of leading the victim to suffer, grievous hurt or cause death is punished under the Act. However, there are no big changes introduced insofar in regards to the quantum of punishment concerned for the acts of murder or grievous hurt, but the separate criminalization will provide a better punitive measure to create deterrence to prevent the commission of the crime of mob lynching. The notable expansion of punitive measure can be recognized by including ‘punishment for individuals for contributing or enforcing hostile environment for the mob lynching’. This provision will have far-fetching effect on controlling the epidemic nature of mob lynching in Manipur. Even if a person has not actively participated in the mob lynching, but if such person has intentionally created or enforced hostile environment for the effectuation of mob lynching, thus such persons criminal liability can be adjudicated under the new act. The Manipur Protection from Mob Violence Act, 2018, recognizes the rights of the victims. The definition of the victims is not limited to direct victim, who has suffered physical, mental, physiological, or monetary harm, but includes family, relative and legal heirs of the deceased. The expansive interpretation of the victims is to provide a broad compensatory and remedial structure against the mob lynching. The victims are entitled to compensation from the State government calculated on the basis of suffering bodily injury, physiological harm, the loss of employment, education and other related expenses. The act also specifically mandates the State to provide compensation to the relatives of deceased, in case of death caused by the mob lynching. The rights based approach also permits the victim to access the constitutional guaranteed right to access justice by promulgating duties on the State to file a compulsory FIR, free legal aid to the victims, entitled to hear the information about the updates about the investigation, legal proceeding against the perpetrators and finally granting protection to the victim from future mob violence. Even though the Manipur State active steps to prevent mob lynching has to be applauded, however the legislation is not infallible and suffers some faults. Firstly, the Manipur Protection from Mob Violence Act, 2018, criminalizes the acts of dissemination of offensive materials with laudable object of preventing fake news and misinformation for the purpose of creating hostile environment of mob lynching. But, the punishment fails to satisfy the constitutional test of ‘reasonable restriction’ on the freedom of speech and expression guaranteed under Article 19(1) of the Indian Constitution. The punishment provision also fails to satisfy the test ‘clear and present danger’ adopted in the Shreya Singhal Judgment for concluding the reasonable restriction on freedom of speech and expression. Thus, the provision will violate the Right to freedom of Speech and expression guaranteed in Article 19(1) of the Constitution. Secondly, the substantive provisions of the act also fail to specify a mandatory disciplinary proceeding against derelict police officials. Unlike other anti-lynching criminal legislation, the the Manipur Protection from Mob Violence Act, 2018, limits the State accountability of negligence of the police officers to the criminal punishment. It shall be extremely difficult to prove criminal negligence on the part of the police officials for failing to prevent the mob lynching. Therefore, the framers of the legislation ought to have included a mandatory internal disciplinary proceeding against the derelict police officials and prescribe the punishment in the form of dismissal from the service. These suggestions were part of the Supreme Court guidelines in Tehseen S.Poonawalla v. Union of India. The article sounds a clarion call for every State to enact similar legislation like the Manipur Protection from Mob Violence Act, 2018, to comprehensively address the fundamental root causes of the mob lynching in India, only a legislative criminalization and broad framework of prevention will help to recover from the scars of merciless mobs murder of innocent people because of their identities related to religion, caste, eating beef and suspicion of committing a crime Despite of few drawback in the The Manipur Protection from Mob Violence Act, 2018, nonetheless, the Act should be hailed as one of the most comprehensive legal framework to combat the increasing large scale acts of mob-lynching in various parts of the country. 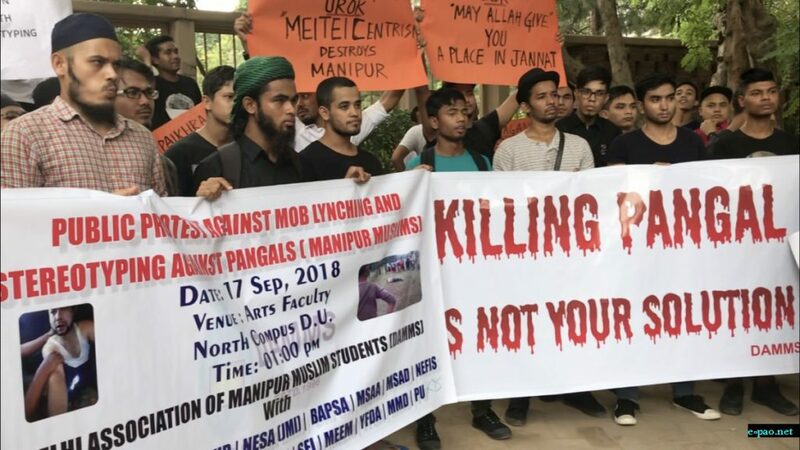 The jurisdiction of the act is limited to the Manipur State, but the legislation carries strong symbolic importance in the epidemic nature of mob lynching against Muslims. Dalit, and other minorities in the country. Adhil Saifudheen is a student in Law in Jamia Millia Islamia, New Delhi. Adhil is an award winning law student who participated in many national and international competitions including the 9th Nelson Mandela World Human Rights Moot Court Competition, Geneva , United Nations. He writes on Law and state policies. Why #NotInMyName Campaign is Problematic? Be the first to comment on "Mob lynching and law: Manipur’s legal inquisition to discover antidote to mob violence"